Our personnel are carefully chosen and are nationally renowned leaders in the field of emergency response training and consulting. Each of them has their own unique contribution to the company with specialized knowledge and abilities in specific aspects of technical rescue. All have been rescuers and teachers within the field of emergency response for many years. Members of our team are not only respected teachers and authors, but respected members of the rescue and standards-making community nationwide. The following information provides a biographical account of the background and experience of a few of our team leaders. Our people are unparalleled in the industry. Elise Wright, Vice President/Owner – We are a Woman-owned Small Business. As the owner, Elise Wright provides the managerial and administrative expertise for the daily operations of Wright Rescue Solutions. She holds a BS in Business Management through Florida State University and specializes in areas of Human Resource management and accounting. 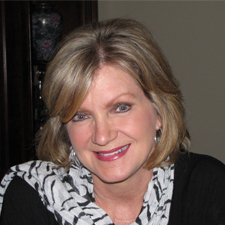 Elise is responsible for all administrative, marketing, and accounting operations within the company. 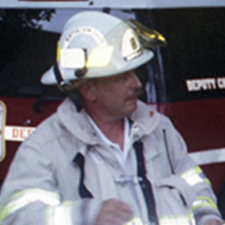 Jimmy Sibley is a recently retired 27-year career Captain with the City of Baton Rouge Fire Department in Louisiana. Having been assigned to both rescue and engine companies for the majority of his fire service career, Jimmy has had significant education and working experience in almost every discipline of technical rescue. 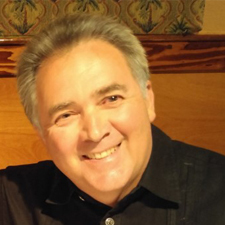 He is an accomplished rescue instructor since 1990 with nationally recognized instructional institutions. 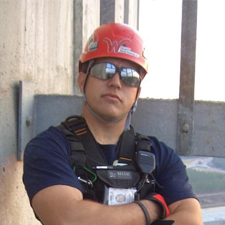 Jimmy specializes in industrial confined space rescue, rope rescue, tower/antenna rescue, dive rescue, and firefighter survival. He serves as a Senior Chief instructor for Wright Rescue Solutions and is integral to the supervision and training of students as well as our internal quality assurance program. Scott Flitcraft is the Division Chief of Training for the Panama City Fire Department (Florida) and a Chief instructor for Wright Rescue Solutions since our inception. He has been a certified Fire instructor for the State of Florida and an Adjunct Faculty member for Gulf Coast State College in Panama City since 2000. 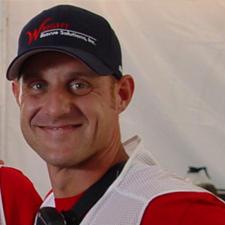 Enthusiastic, out-going, and highly motivated; Scott is a very significant asset to Wright Rescue’s team. 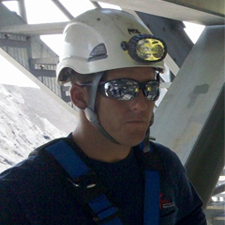 Scott’s specialties include rope rescue, confined space rescue, medical rescue, firefighter escape and water rescue. Jamie is a career fire Lieutenant and a Paramedic with Midway Fire District near Pensacola, Florida. He has acted in the capacity of Chief Instructor with Wright Rescue for many years and specializes in Rope rescue, Confined Space rescue and Emergency Medical training. 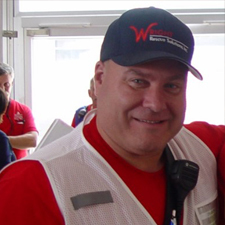 Well rounded in a variety of specialties, including Tower rescue, hazardous materials response and industrial standby rescue, Jamie is an integral part of Wright Rescue’s instructional team. Mike is a firefighter assigned to Rescue with the city of Yonkers Fire Department in New York and a Wright Rescue Chief instructor. He brings much to the table with his diverse background which includes a great deal of education and experience in the area of research and development. 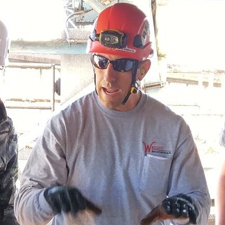 An excellent teacher and practitioner of many areas of technical rescue, Mike specializes in Confined Space, Structural Rope Rescue, trench and structural collapse applications. Marcus is a Battalion Chief with over 15 years of service to the citizen of Bay County, Florida and a Chief instructor for Wright Rescue Solutions, Inc. He is a Lead Instructor for Bay County Fire Department’s (Florida) Haz-Mat response team and a key component of their Incident Command Team. In this capacity, he is routinely called upon to staff various Emergency Support Functions whenever Bay County’s Emergency Operations Center is activated. As a state certified Hazardous Materials Technician and Paramedic, Marcus is an integral part of our Rescue Standby, Medical, Health and Safety, and Firefighter Escape divisions. He has been a certified Fire instructor for the State of Florida and an Adjunct Faculty member for Gulf Coast State College in Panama City since 2003. Enthusiastic, out-going, and highly motivated; Marcus brings a great talent to Wright Rescue’s team of world-class instructors. Marcus’ other specialties include Rope Rescue, Confined Space Rescue, Medical First Responder, Incident Command, and Hazardous Materials. Joey Gonzalez is a career firefighter with the city of Gainesville, Florida and, in addition to acting as a Wright Rescue Chief Instructor, he heads up our instructional team for Rapid Intervention and Firefighter escape. Joey is one of the primary instructors for Gainesville’s Rapid Intervention and Firefighter Escape programs and has received honors as Instructor of the Year in that capacity. He participated in the training of FDNY’s instructor team for the Personal Safety System project in 2005 in which the EXO personal escape system was taught and provided to over 11,500 members of the department. Enthusiastic, out-going, and highly motivated; he brings a great talent to add to Wright Rescue’s team of world-class instructors. 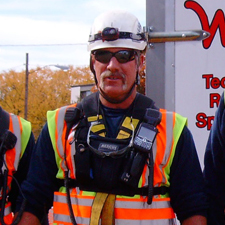 Joey’s specialties include Rope and Confined Space rescue, Tower Rescue and Firefighter Escape. Roy is a Firefighter/Engineer with the Panama City (Florida) Fire Department and a Chief Instructor for Wright Rescue Solutions, Inc. He is actively involved in training his department’s USAR (Urban Search and Rescue) team and an integral part of their Trench Rescue, Rope Rescue, Confined Space Rescue and Firefighter Escape program. Enthusiastic, out-going, and highly motivated; Roy is an excellent addition to Wright Rescue’s team of world-class instructors. 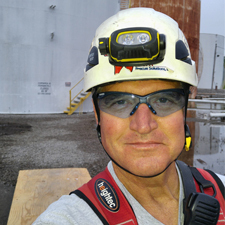 Roy’s specialties include Rope and Confined Space Rescue, Firefighter Escape, Industrial Tank and Industrial Rescue Performance Evaluations. JP is a Lieutenant with the Panama City Fire Department (FL), an Assistant instructor for Wright Rescue Solutions, and a Florida State certified Fire Instructor. With over 13 years of service, he is in charge of his department’s Florida State USAR team relative to Rope and Confined Space Rescue and heads up their instructional staff for Rapid Intervention and Firefighter Escape programs. JP is heavily involved with our Rescue training, Rescue Standby and Firefighter Escape divisions. A wealth of knowledge and experience, JP provides a great asset to our program. David is a Captain with the Panama City (FL) Fire Department, a Wright Rescue Specialty Chief Instructor, and a Florida State certified Fire Instructor. He As a member of the Northwest Florida Regional USAR team since 2009 and, as such, he currently oversees the training of all five USAR disciplines within his department and is their lead Trench Rescue instructor. David brings to us a special and diverse talent, providing Wright Rescue with expertise in Vehicle Rescue, Machinery Rescue and Trench Rescue. 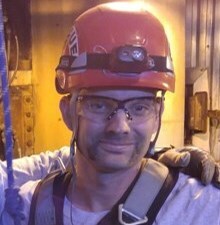 He is also an assistant instructor within our Rope and Confined Space Rescue program. We are fortunate to have this excellent addition to Wright Rescue’s existing team. 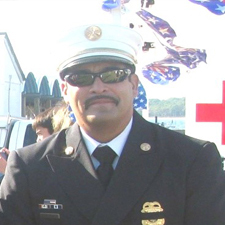 Robert Rhea is a 29-year veteran of the Fairfax County (Virginia) Fire and Rescue Department. He retired as a Battalion Commander assigned to the Operations Division. Chief Rhea served for 16 years with the department’s Technical Rescue and Urban Search and Rescue (USAR) Team, including serving as Task Force Leader and USAR Program Manager. Robert also served as a content expert for the FEMA USAR System development tea, and as an adjunct instructor for the National Fire Academy. He is a principal member of NFPA’s committees on Incident Management Professional Qualifications (1026), Operations and Training for Technical Search and Rescue Incidents (1670), and Technical Rescue Personnel Professional Qualifications (1006). Chief Rhea is co-owner of ARK Technical Rescue Training Services, Inc, Wright Rescue’s affiliate for Structural Collapse and Trench Rescue training. In this capacity, Robert is Wright Rescue’s Chief Instructor and Technical Coordinator for all such programs.